Arrive anytime after 1pm and Play for 2 hours from arrival. Purchase a ticket for any child over 12 months. Adults do not need tickets. 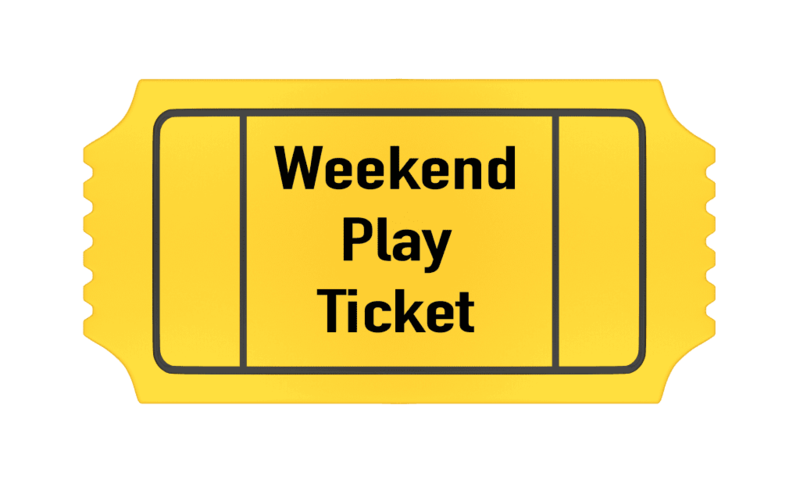 Weekend play tickets are non-refundable unless the store closes due to inclement weather. Tickets will go on sale on this page the Thursday prior to the event at 10AM. No food may be brought in on the weekends. A ticket is required for any child between 12 months and 14 years. For a faster check-in, please fill out the waiver form prior to arrival if you have not done so in the past.